Proof positive that preventive maintenance is essential to maintaining equipment. 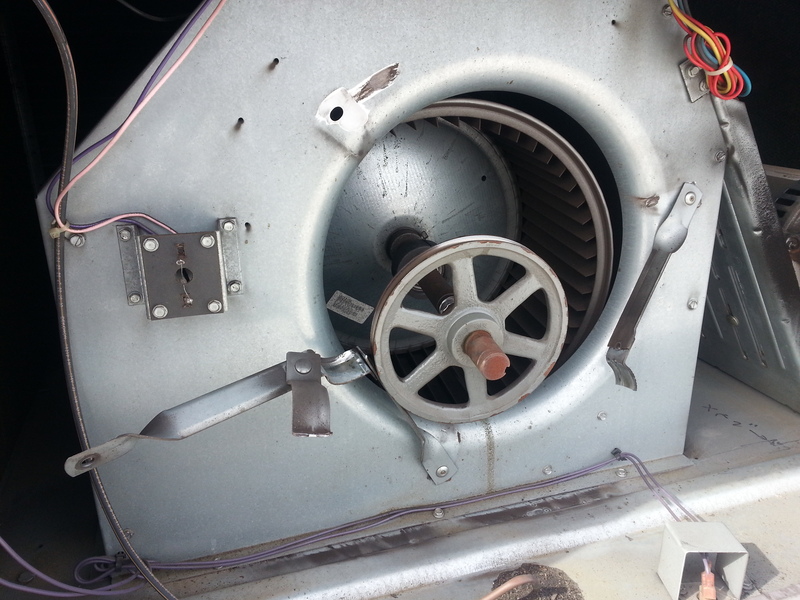 This unit does not receive regular service and as a result, an issue that would have been found during a scheduled maintenance visit and what would have been an easy fix was not found until the blower assembly blew apart. Luckily, we are in the shoulder season where temperatures are not extreme. Had this happened during peak season things would have been much worse and the employee who complained of a “banging noise” from the unit would have been even more upset if they didn’t have air conditioning for an extended period during the middle of summer. A minor repair that left unchecked, turned into a major problem for this building. The unit was completely inoperable until repair parts could be ordered and installed. I think we can all agree that this winter has been long and seemingly, never ending. I will be glad for the days when I can open my windows and let in some fresh air and sunshine but typical New England spring days seem to be short lived and spring can turn into hot and humid with little advance warning. That is why now is the time to schedule your spring preventive maintenance service for your air conditioning system. Preventive maintenance visits allow our technicians the time to fully inspect and service all equipment that hasn’t been utilized for months and make sure that everything will be operating properly when you turn your system to a/c mode. Having the maintenance performed earlier in the season also gives you more time to order any repair parts or replacement units without your system being down in the middle of the summer. Call our office today to schedule your spring service 860-355-3705.